Cabinet Replacement New Ulm | News | Messner Builders Inc. When it comes to bathroom remodeling in Mankato, MN, your choice in cabinetry can make a big effect. The right set of storage units make a bathroom feel airy, open, and easy to maneuver. The wrong set can leave your personal spa feeling cramped, unwelcoming, and outdated. If you want to make a splash in the bathroom, try out these three fresh cabinetry trends. Each is available in a full spectrum of paint colors and finishes. Minimalism may be on trend, but it also isn’t going anywhere anytime soon. That is because minimalist bathroom cabinets in New Ulm, MN, complement a wide variety of styles and look effortlessly sleek. Straight, geometric lines and a lack of ornamentation hallmark minimalist cabinets. If you don’t want to go with completely plain cabinets, the shaker style makes an excellent alternative. Another look that is right on trend in the bathroom is farmhouse style. While farmhouse cabinets are similar to minimalist ones in that they share straight, geometric lines, the former offers a punch of the rustic and cozy. If you want to invoke a relaxing feeling in your bathroom, look to farmhouse style cabinets to achieve spa-like perfection. They also look fantastic in the kitchen! Storage solutions in Hutchinson, MN, do not always have to include traditional cabinets. If you are exceedingly cramped for space or simply want to open things up, you may want to consider ditching conventional cabinetry altogether. Instead, opt for the on-point and always-attractive open shelving. Although you may have to put a little extra effort into organization, our designers still love open shelving for its modern look and versatility. These are just some of the most popular trends in bathroom cabinetry, but are far from the only options for discerning designers. Talk to your local contractor about how to maximize your bathroom space. Windows in Mankato, MN, play a tremendous part in the efficiency and aesthetic of your home. When they are new and undamaged, they help to protect furnishings and keep your heater working smoothly throughout winter. When they are damaged or outdated, however, you could find yourself with a hefty energy bill among other problems. Here are a few key signs your windows need to be replaced. Modern windows are excellent at protecting paint and furniture from fading. Coated, double panes prevent sunlight and UV rays from penetrating into the home. This gives you long-lasting paint performance among other financial benefits. If you have noticed yellowing or fading on furnishings near windows, don’t think twice about upgrading. Another sign it is time to invest in window replacement in St. Peter, MN, is when you know your current models aren’t giving you adequate insulation. Old windows can sacrifice a significant amount of energy and heat-loss, creating a spike in your monthly utilities bill during winter. To keep your home cozy and your costs low, invest in new windows. A great reason to consider upgrading windows is when you want a fresh look for your exterior. Today’s models are available in a wide variety of styles and colors, giving your more options in customization than ever before. In fact, new windows are a great way to add overall value to your home, regardless of whether or not you plan to sell. Lastly, there may be no better prompt to rip out your old windows than their old age. If your current editions were installed more than 15 years ago, it is likely time to replace them with something modern. For more information about windows and new construction in Winthrop, MN, or to schedule a design consultation, talk to your local contractors. Kitchen cabinets are more than just lockers for dishes, glassware and snacks; they are practical organizers and storage solutions in St. Peter, MN. Beyond keeping clutter to a minimum, cabinets can also transform the look of a kitchen without investing in heavy-duty renovation. If you have been searching for the answer to your kitchen space puzzle, look no further than a new set of cabinets to bring the pieces together. One of the most pragmatic ways in which kitchen cabinets in Mankato, MN, improve area is to house items that would otherwise be left on the counter. Countertop space is a hot commodity in kitchens, and it looks best when clear of clutter. If you find yourself constantly fighting to keep clean counters, yet your cabinets are already full, consider installing an additional small set or replace them altogether with higher-capacity models. Does your kitchen have unusable wall space? Perhaps there is an extra foot or two separating cabinets from the ceiling, or you have an awkward area above the kitchen sink. Regardless of what the space issue is, custom cabinets in Winthrop, MN, can provide the answer. Pushing cabinets to be flush with the ceiling ensures no space goes to waste. Alternatively, adding simple open shelving above the sink can store even more kitchen items and appliances. One of the best ways cabinets transform kitchen area is, of course, stylistically. Many homeowners are surprised by the drastic difference a new set of cabinets achieves. Whether they help create a whole new color scheme or update your kitchen to a modern look, installing new cabinets is one of the easiest ways to give the busiest room in your home a makeover. These are just some of the ways in which cabinets improve kitchen area. Whether you are designing your ideal master bedroom closet with new construction in Hutchinson, MN, or you want to upgrade your current, less-than-inspiring situation, there are many great motivations to invest in custom storage. Not only does tailored storage give you the option to add organization anywhere you need it, but also to improve the flow of your area. Here are four reasons to get creative with storage space. Although most homes are built with storage in mind, space isn’t always taken into consideration. Some areas come predesigned with bulky closets, while others lack adequate storage altogether. If you are already pressed for area, consider tearing out your current closet and investing in custom storage solutions in Mankato, MN. This gives you the ability to maximize the space you do have and rearrange to put the new closet where it is out of the way. On the other side of the storage spectrum, you may have a space with not enough organization. In the laundry room, for example, it is common for clothes, shoes and linens to pile up. Although some laundry rooms may come affixed with one or two cabinets, many homeowners benefit from having a full-fledged closet in this space. When you invest in custom storage, you can get exactly the organization you need, exactly where you need it. Speaking of organization: It’s one of the best perks of renovating! Reducing clutter and keeping a clean home are proven to lower stress and promote wellbeing, among countless other benefits. Rearranging or adding capacity to kitchen cabinets, for example, can prevent items from accumulating on precious countertop space. Is It Too Late to Take on My Renovation Project? Although October in Minnesota can certainly bring a blizzard or two, it can also still be a great month to get that home remodeling project accomplished. Depending on the size and scale of your desired renovation, you can still squeeze in a number of projects before the holidays arrive. Here are a few reasons why October is still a fantastic time to remodel. Contractors have the highest demand for their construction services in Mankato, MN, during the summer months. Most homeowners aim to finish their projects throughout the months of June, July, and August so construction does not interfere with back-to-school or the holidays. While these are both great reasons to schedule a summer project, these are also two reasons you will encounter higher prices and demand. By holding off on home remodeling in St. Peter until fall, you beat the rush and the elevated prices. Unless you happen to have scheduled multiple room additions in Winthrop, MN, during a blizzard, you are unlikely to experience significant delays. It is true that bad weather can delay a project, but this is only true if it involves extended hours in the outdoors. Window replacements, storage expansion, and indoor remodeling projects all get green lights for October work. Contractors are able to accommodate most construction projects within a matter of weeks, however it always depends on the scale. By scheduling October, there is a high likelihood that you will still be done with renovations in time to enjoy them by the holidays. You will also be able to take advantage of the fact that there is lower demand, meaning your contractors can work efficiently to get the job done fast. For these reasons and more, don’t hesitate to make October your month to remodel! If you need a little help selling your home, there may be a few key remodeling projects that could help you not only attract buyers, but also raise your asking price. From investing in that new master bedroom closet to ripping out those outdated bathroom cabinets, the potential is nearly endless. Here are four remodeling projects that are guaranteed to attract prospective buyers. Every house comes with a closet, but not all are equipped with modern storage solutions in Hutchinson, MN. Give your master bedroom the wardrobe it deserves with the expansion of your existing closet. Buyers are instantly drawn to the appeal of a spacious closet, and it makes eliminating clutter a breeze. Kitchen remodeling in Winthrop, MN, is a proven way to lift value and garner offers from homebuyers. This is especially true if it includes modern appliances and a clean aesthetic. Function also matters, so give your kitchen a boost in utility if it is lacking. This can be accomplished with a new kitchen island or improved cabinetry. Speaking of cabinetry, this often makes a drastic difference in the overall look of a bathroom. When undertaking bathroom remodeling in New Ulm, MN, pay extra attention to the size and style of your cabinets. They can transform an outdated bathroom to one that is sleek, airy, and on trend. All of these qualities are features buyers crave. If you have the budget and space for it, consider adding a new room to your home altogether! The extra square footage could mean a significant difference in your asking price. In the meantime, it also increases livable space. These are just some of the best construction projects for attracting homebuyers, but are far from the only options available. Talk to your general contractor to learn more. When it comes to reorganization, most of us are quick to jump to our bedroom closets as the spaces most in need of structure. While it is certainly true that your master bedroom could benefit from enhanced storage solutions in Winthrop, MN, there are also several other places round the house where clutter likes to collect. If you really want to get organized, consider adding storage space to these four areas. The laundry room can see quite a bit of action. From dirty clothes to cleaning products, this area holds it all. If your laundry room is starting to seem heavier on the laundry and tighter on the room, consider adding custom closets in New Ulm, MN. This project typically does not require much space to start with, and can be as simple as one row of cabinets for keeping linens, cleaners, and laundry baskets. The bathroom is another space where clutter can easily collect. From cosmetics and toiletries to towels and robes, everyday items tend to conglomerate in the bathroom. Make the most of this space and get organized by installing new bathroom cabinets in Mankato, MN. If you have a garage, you know how quickly items can pile up and be forgotten. Instead of looking at a heap of clutter, create a sense of calm every time you come home with a new garage closet. These storage solutions are far superior to any oversized plastic box, and they make storing hardware and other garage-bound items a breeze. Last but not least, never neglect your kitchen. People spend more time in the kitchen than almost any other room, and this space is also known to hold a wide variety of utensils and cookware, not to mention snacks. Clean up your kitchen and keep clutter away by investing in custom storage for this space. You will not regret it! Are Your Cabinets Aging Your Space? Whether you suffer from overly intricate kitchen cabinets in St. Peter, MN, or are feeling the unwanted side effects of an abrasive color scheme, sometimes your choice in storage solutions can leave your space looking like it is stuck in the past. In many cases, a fresh set of cabinets can completely change the look and feel of a room. Here are a few indicators your cabinets may be hurting, rather than helping, your space. Intricate designs and ornate patterns have always been on the market, but they have decreased in popularity in recent years. This is due to a few reasons. Today’s trends favors cabinetry and décor that is minimalist in theme, which is hallmarked by clean lines and simple shapes. Shaker cabinets are great examples of minimalism, because they feature just one inset panel in a geometric, rectangular shape. When cabinets have too many lines and shapes, they can quickly make a room look busy. Another telltale sign your existing cabinetry installation in New Ulm, MN, is more outdate than current is its overall look. Boxy and oversized cabinets were extremely popular in the 1990s, but have since waned in demand. Today’s models are slim, streamlined, and still manage to feature significant capacity. Color makes a big statement about your style. Today, the name of the color game is neutral. Neutrals like whites, grays, and tans work seamlessly with a minimalist look and are preferred for their ability to coordinate with décor of all hues. 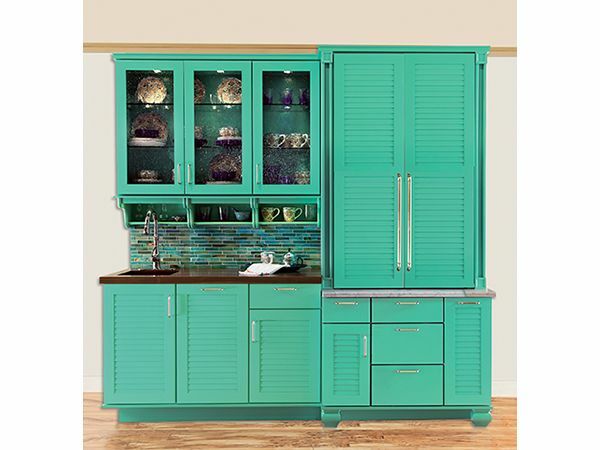 Although not against modern rules, louder colors can seem too harsh on kitchen and bathroom cabinets in Hutchinson, MN. If you are wondering what’s keeping your kitchen from looking fresh, consider painting over those royal blue cabinets with a cutting-edge light gray. These are just some of the ways in which outdate cabinets could be dragging down the rest of your space. Long gone are the times of generic cabinets and eyesore color schemes. 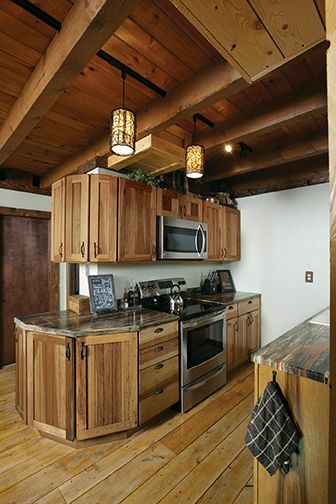 Nowadays, kitchen remodeling in Mankato, MN, is anything but cookie-cutter. While all of the style options can make it difficult to know where to start, there are a few tried and true rules you can use to make your kitchen make a statement. If you get stuck, you can always count on your local remodeling contractors for expert design advice. The first key to curating a kitchen that wows is to understand your dimensions. No matter how tiny or spacious your cooking quarters are, they are bound to look unbalanced with the wrong proportions. By knowing your area, you can start to determine the appropriate sizes for appliances, islands, and cabinetry. Don’t forget to measure the height of your walls, as this can be invaluable in guiding your decision in cabinetry installation in Winthrop, MN. Speaking of cabinetry, feel free to make a statement in this regard. Although an unexpected color is always a great option, you can often attract the eye and set the tone for the rest of the kitchen with subtle cabinetry flair. If you love the minimalist look, for example, forget the usual boxy aesthetic and go with open vertical shelving. If you want to channel a cozy cottage, look for cabinets with earthy tones. Lastly, don’t be afraid to consult with your local remodeling contractor in Mankato, MN, about color scheme and design elements. While we typically recommend installing cabinets in a neutral hue, tile and paint color leave plenty of room for creativity. We love the look of a graphic ceramic backsplash in just about any palette. You can also add pops of color that speak to your personal style with pots, towels, and other décor. These are just some of the easiest ways to make your kitchen shine. While some home remodeling projects are suitable for any time of year, some have more specific deadlines. Whether you just accepted a job out of state and need to add value before selling your home or are trying to finish an addition before the holidays roll around, there are many great prompts to renovate. By consulting your remodeling contractor in Hutchinson, MN, however, you may be able to schedule your project during off-peak season and take advantage of lower prices. One of the best times to embark on home renovation in Winthrop, MN, is when you are preparing to sell your house. Projects such as kitchen and bathroom remodels can add significant overall value to your home, allowing you to hike up your asking price. Another great time to make updates is when you have just purchased a home. This way, renovation blends right into the moving chaos and gives you a fresh slate from which to start. While some jobs like bathroom remodeling in Mankato, MN, may not come with weather-dependent schedules, others may. If you are expanding your square footage with a new addition, for example, any stormy or snowy conditions can cause major delays. By understanding the scope and needs of your particular project, you can begin to pin down an ideal timeline. Remember that summer months are typically the busiest for renovators and, not coincidentally, this is also when prices are highest. If you have a flexible schedule and are looking to take advantage of lower rates, ask your contractor when his or her busiest times are. If you can avoid these times, you are also likely to avoid high-season rates. Additionally, your contractor will thank you for considering his or her schedule. These are just some of the best times to plan a remodeling project.